We’ve always known sleep was important – how irritable and useless are we after a string of bad sleeps..? Well new research has shown it might not be the monster in the cupboard but the bugs in your tummy that are keeping you awake at night. New research indicates the gut microbiome (the microflora in your gut) is responsible for more the 30 different types of neurotransmitters, 1 of which is serotonin; a feel good chemical messenger that is also responsible for a good night’s sleep. How much serotonin we make directly impacts our circadian rhythm and related sleep cycles. Serotonin is a precursor to a substance required to make melatonin, the hormone responsible for a good night’s sleep. Whilst it was previously thought the pineal gland (an endocrine gland situated just behind your forehead) was solely responsible for manufacturing this essential sleep hormone, research has shown that the microbiome produces more than 400 times the amount secreted by the pineal gland. Interestingly, researchers have discovered that even after the removal of the pineal gland melatonin levels remain stable. What this research highlights is that it’s not the endocrine system that is responsible for this particular hormone, but the bugs in your gut! So if you’ve been overindulging in sugar and under-indulging in pre-biotic veggies and fermented foods, or if you’ve had to take a course of antibiotics recently, then you may not be getting the quality sleep you need to regenerate your body and wake feeling refreshed. What then ensues is a viscous cycle of caffeine and sugar cravings which perpetuate the poor sleep cycle. The reverse is also true. The vagus nerve that connects your gut to your brain is mainly transmitting signals from your gut to your brain (why it’s often called the second brain) whilst only 10% of the messages are moving in the opposite direction (brain to gut). 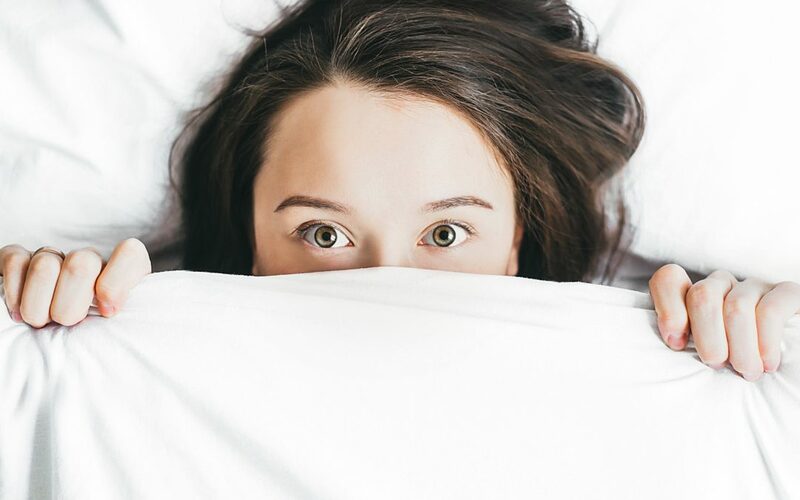 Interestingly, a perpetuating poor sleep cycle has shown to negatively effect your gut bacteria by throwing the bugs own circadian rhythm off balance (they are living creatures after all)! And so, the viscous cycle continues. So what can do to break the cycle and return to happy, non-sleep deprived vegemites? Eat a diet rich in pre-biotics (the stuff the good bugs like to eat) including green, cruciferous and fermented veggies, sauerkraut, tempeh, miso and natto as well as the probiotic foods including yoghurt, kefir and kombucha. Any kind of organic bone broth is incredibly nourishing for the gut. Avoid refined sugar (the stuff the bad bugs like to eat) and limit alcohol. When in doubt, consider taking a broad spectrum probiotic supplement (particularly if you’ve had to take a course of antibiotics recently). If you have any digestives symptoms, chances are you will have gut dysbiosis (an imbalance of bad bacteria). Western science is just now coming to realise how incredibly important a healthy and balanced microbiome is for just about every function in the body.